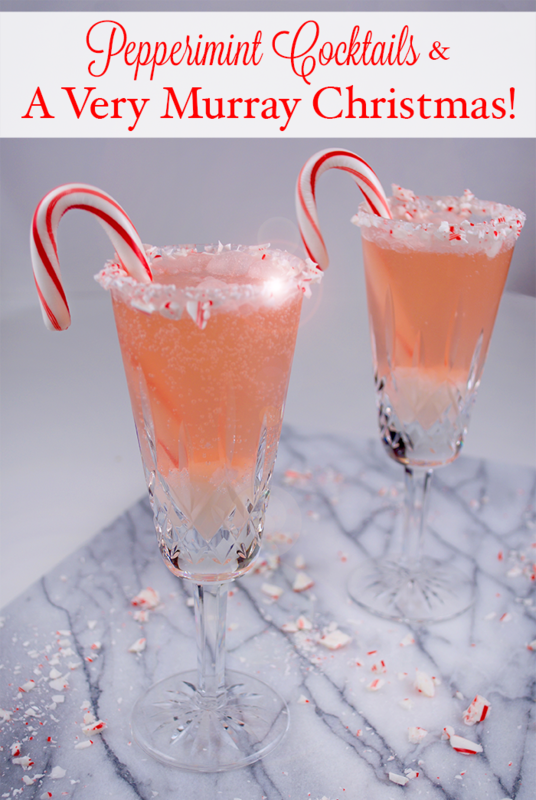 #StreamTeam, Peppermint Cocktails and Bill Murray! Christmas is coming too fast, let me just start there. I've strung together shopping trips and I have most of my shopping done...but I'm still feeling overwhelmed. When I saw Netflix was streaming A Very Murray Christmas, I knew I had to take one night, slow down, make a yummy holiday cocktail and enjoy. Now if this drink doesn't scream Christmas...I don't know what does! I spent many a night in small town USA on Christmas watching OLD reruns of the Bing Crosby Christmas Special. Why Bing Crosby and David Bowie singing Little Drummer Boy is burned into my psyche is beyond me...but it is...until now. I was all in WAY before Chris Rock donned a turtleneck and joined Murray on stage for Do You Hear What I Hear...BRILLIANT. Bowie and Bing...you have been replaced. 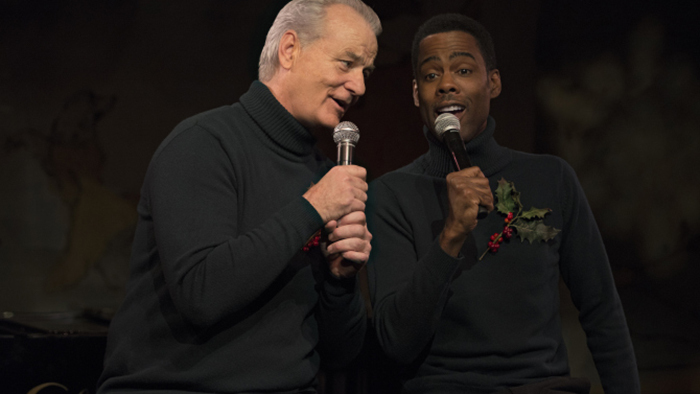 Directed by Sofia Coppola A Very Murray Christmas is one treat after another. From Amy Poehler to Maya Rudolph...and yes that IS David Johansen tending bar at The Carlyle Hotel! Please, do yourself a favor and take 56 minutes, invite a couple friends over and enjoy. I haven't even mentioned George Clooney, Miley Cyrus and the Rockettes. It's fine Holiday Fun! Looks like something I will be making for my New Year's party too.